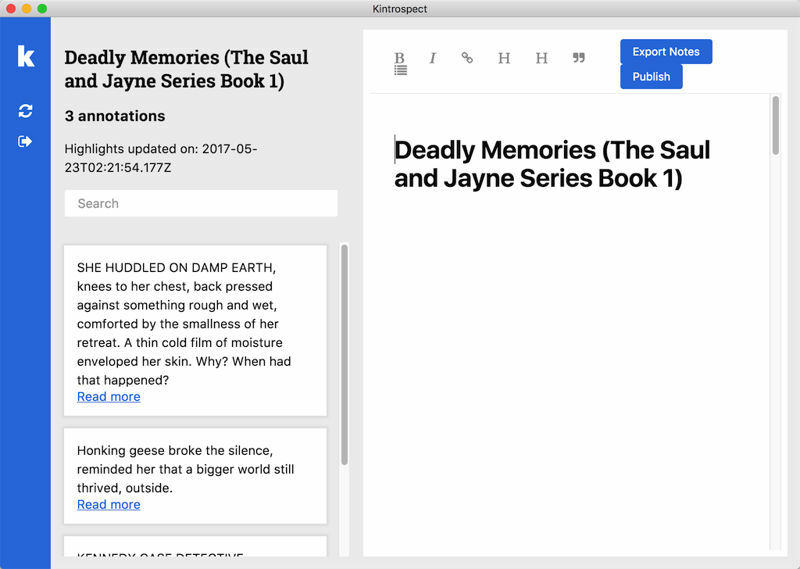 In this blog I’ve introduced several tools which can manage and export Kindle highlights and notes, like Knotes, Kindle Beautiful, Clippings.IO. Yesterday when I browse Reddit, I found a new tool called Kintrospect. At the beginning, I thought it was just another tool with similar features, until I noticed the description ” it downloads all your highlights which you can use to…”. That is something new. 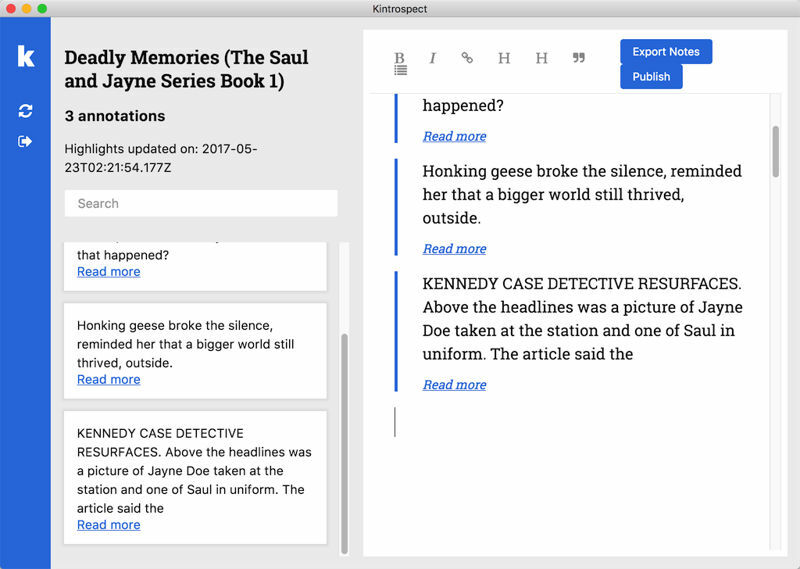 We all know that we need to find our “my clippings.txt” or connect Kindle device to computer for those software to find the highlights and notes, then organize them. 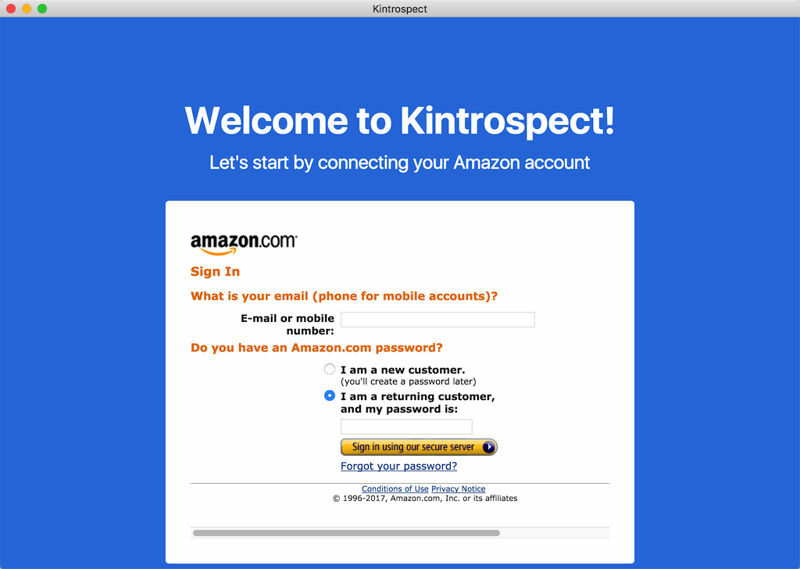 The Kintrospect doesn’t require this step, you just need to login with your Amazon account then you can fetch the highlights and notes online. In the following parts I will introduce this software in details, here is something you need to know at the first: this is a software still in beta test, and it’s only for macOS at the moment. 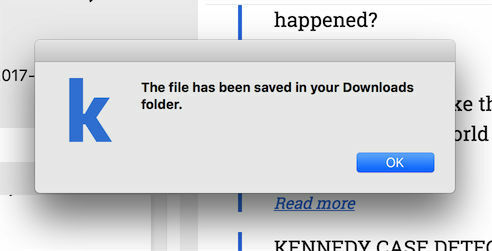 So if you are a Mac user and you are interested in fresh applications, I would recommend you try it. The compressed file only contains an executable file, no other files contained, you don’t need to worry about the security issue. 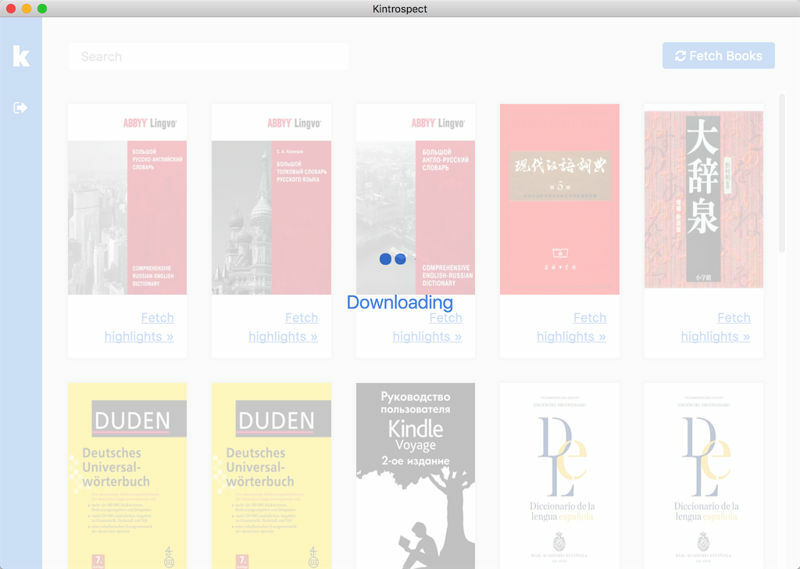 Launching the software, it will ask you to login with your Amazon account, then it will read your Kindle cloud library and fetch the highlights and notes from the books. Someone may ask, is it safe if I input my Amazon account and password inside Kinstropect? Everything is store locally, so I don’t get access to your data. For the amazon part, I don’t store your password or email, you are connecting directly to amazon and then I just cross-communicate with a browser inside the app. With my knowledge of programming, the developer’s answer is true. This part (we call it API in IT jargon) is provided by Amazon, Kinstropect just calls this API then the following job is finished by Amazon. Kinstropect can’t store your account or password. Once logged in with your Amazon account, all the books saved in your Kindle cloud library will show up, including dictionaries. Double-click a book cover, or click “Fetch highlights >>”, you will enter the details page of the book. Look at the screenshot above, the left side is the highlights I used to mark in this book, the right side is the local part. If I want to edit, manage, export the highlights from web to my local computer, I just need to drag the highlights from left side and drop them to the right side. After the highlights are dragged to local part, I can edit them just like edit a word document. You can see a simple text editor toolbar at the top of right part, there you can use these functions: bold, italics, add link, H1, H2, quote, and list. You can also manually add more annotations in the local part. 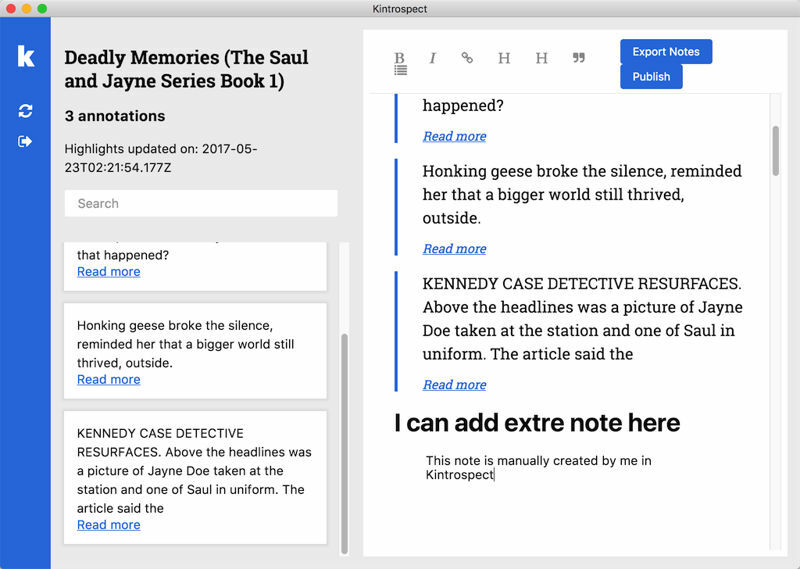 Another important feature of Kinstropect is exporting notes to local file, at the moment, you can only export to HTML file. To export the notes, just click the blue “Export Notes” button, it can be easily found on the top bar. The following features include export to Evernote, publish to blog. The windows version is coming soon. I will keep on eye on this software, it’s very promising in my personal point of view.